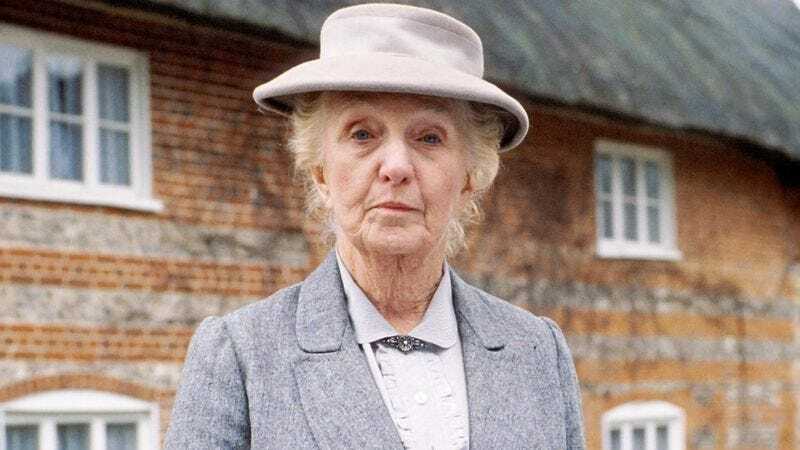 Joan Hickson as Miss Marple, prior to her latest Time Lord regeneration. Miss Marple has been adapted numerous times over the years, although usually by people willing to accept a sexa- or septuagenarian protagonist as part of the price for playing the Marple game. (Even the producers of the anime series Agatha Christie’s Great Detectives Poirot & Marple allowed the inquisitive amateur detective to hold onto her “old maid” status.) It’s not the first time that a younger, sexier Marple has been bandied about, though; back in 2011, Jennifer Garner was attached to a film version of the character, a project which was presumably shut down in the intervening years by an irate fusillade of crumpets and doily-laden hats from the furious Marple hordes. The new series is just the latest entry in CBS’s new strategy of doing all of its drama development from the safety of a paperback bargain bin; besides the ongoing success of Elementary, the network has just announced a new show about Nancy Drew as an NYPD detective, and previously floated plans for a series about Tom Sawyer and Huck Finn as crime-solving lawyers.